Brandon, MB (CKLQ) - The RCMP have released more details about the death of 24-year-old Danny Kidane at Dauphin's Countryfest. 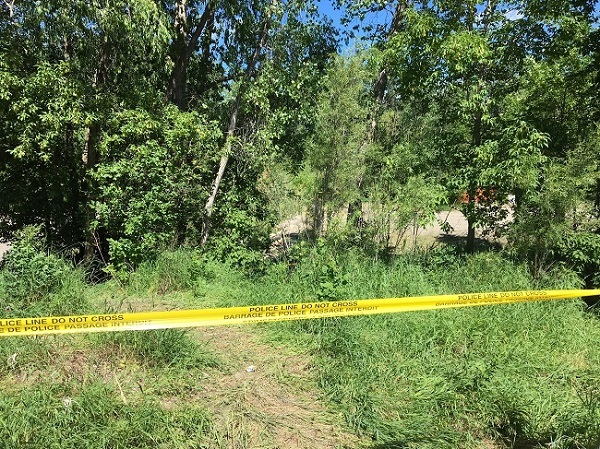 The Winnipeg man's body was found in a creek near the Countryfest grounds at a festival site. The cause of death has not yet been disclosed, but the there will be an autopsy in the coming days. But at this time the RCMP say they do not think it is suspicious. Kidane was last seen by his friends on Saturday afternoon. Brandon, MB (CKLQ) - The search for Danny Kidane has ended in tragedy. The 24-year-old Winnipeg man who was last seen Saturday afternoon at Countryfest has been found dead. RCMP made the announcement late Tuesday night on day three of their search which expanded into Riding Mountain National park. Cause of death or any other details have yet to be disclosed. Brandon, MB (CKLQ) - Searchers continue to scour the Dauphin area after 24-year-old Danny Kidane disappeared Saturday while attending CountryFest. Sgt Paul Manaigre says RCMP officers, canine teams from Brandon Police, the Office of the Fire Commissioner, and CountryFest Security are working together to find the missing man from Winnipeg. Alongside them, additional assistance is also being provided by firefighters from Rapid City, Minnedosa, Strathclair, Sandy Lake, Ste. Rose and Onanole, as well as volunteer crews from Rivers. Manaigre says the search has now expanded into the Riding Mt. National Park and the surrounding areas. "I will agree, this is an unusual circumstance, in that we still haven't found him," said Manaigre. "But we're investigating the case, talking to people, building a timeline. We're actively searching the area in a grid pattern, and we're still hopeful that we can located him." Kidane is described as African Canadian 5'6", 140 pounds with brown eyes and short black hair. He was last seen wearing black shorts and flip flops on Saturday evening at the CountryFest site. Meanwhile, CountryFest GM Rob Waloschuk says nobody has ever simply disappeared in the event's 29 year history, and they take this very seriously. "Is it unusual? Yes. This is the first time we've had this kind of search take place, and our security personnel are helping police since Monday," said Waloschuk. "We've made announcements since we found out on Sunday, we've handed out flyers, we helped search vehicles." Sgt. Manaigre said they will continue the search today, and definitely on Wednesday. Dauphin, MB (CKLQ) - Dauphin RCMP received additional help for their search of the Danny Kidane, the 24-year-old man from Winnipeg who was reported missing at CountyFest on Sunday. Dauphin Fire and the RCMP received additional assistance by firefighters from Rapid City, Minnedosa, Strathclair, Sandy Lake, and Onanole as well as volunteers from Rivers joined the search Monday evening. Dauphin, MB (CKLQ) - RCMP are looking for a Winnipeg man who they say went missing at CountryFest 2018 in Dauphin this weekend. Witnesses tell Q Country News that at the end of the Paul Brandt show around 11p.m. on Sunday, an announcement was made about 24-year-old Danny Kidane, who at the time had been missing for more than 24 hours. RCMP Sgt Paul Manaigre says an extensive search in now underway for Kidane. "CountryFest Security, RCMP and the Office of the Fire Commissioner is currently conducting the search. We're also waiting on the dog-man team to help this afternoon," said Manaigre. Kidane is described as African-Canadian, 5'6", 140 pounds, with brown eyes and short black hair. He was last seen wearing black shorts and flip flops. Sgt. Manaigre also said this is an unusual circumstance, as in his memory, they're never received a report of a missing person from Country Fest in the past. "This young man could have wandered into the forested area at the site. It's overgrown and he may have become disoriented. Hopefully with some luck we can bring him home to his family very soon." On the way out of the site, CountryFest attendee, Chantal Bailey Morrison of Dauphin, said she got a big surprise as she was exiting on Monday morning. "We had to wait for a while, but there were others in line for more than two and a half hours because of the police checking campers and RVs on their way out. They were being very thorough, and also handing out flyers with the man's name and description on it. Anyone with information is asked to call the Dauphin RCMP at 204-622-5050, or call Crime Stoppers anonymously at 1-800-222-8477, submit a secure tip online at www.manitobacrimestoppers.com or text "TIPMAN" plus your message to CRIMES (274637).